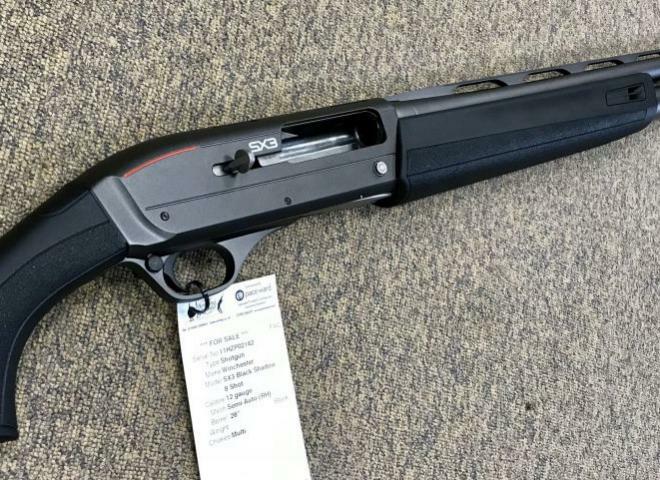 This Semi-Auto shotgun has a black synthetic stock and forearm, Inflex recoil pad, Truglo front sight, Active Valve system, Invector-Plus chokes and more. 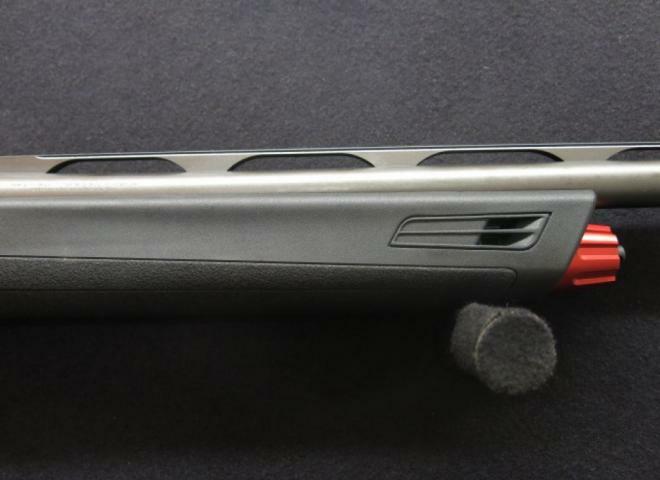 An SX3 Winchester Section 1 12G Semi-Auto 7+1 black synthetic stock matt gray finish to barrel and action in very good condition comes with 3 chokes and key ideal for practical shotgun or pest control. New, Game With Box and 3 Chokes and Key. The latest excellent Winchester semi auto. This model has a synthetic stock , non reflective black finish. Comes with 3 chokes, 1/2" spacer kit to give a total stock length of 14 3/4", sling swivel kit. A hard to find Raniero Testa SX3 with a factory 12-shot magazine tube complete in full length Winchester hard case and 5 extended chokes. A Firearms certificate is required to purchase this shotgun. Firearms certificate is required to purchase. Superb condition comes with excellent Nordic Components extension tube, clamp, extended bolt handle and release button plus collapsible open sights for practical. The very latest semi auto from Winchester. Excellent value for money. In as new condition with box and paperwork. Only 18 months old and in good condition. Lightly used and still has the maker's label on the barrel! Ideal gun for wild-fowling. Comes boxed and with spare chokes and lock. As New Condition, Game With 3 Chokes and Key, Shims and Spacers. Good condition. Comes with 5 extended chokes, motor case & stock adjustment kit for drop, cast & length. Winchester ranger 140. In quite good condition and good build quality - made in america. Superb value semi auto for wildfowling and rough shooting. 3 1/2" Magnum and steel shot proofed. SUPERB VALUE SEMI-AUTO FOR WILDFOWLING -ROUGH SHOOTING.3 1/2" MAGNUM STEEL SHOT PROOF. 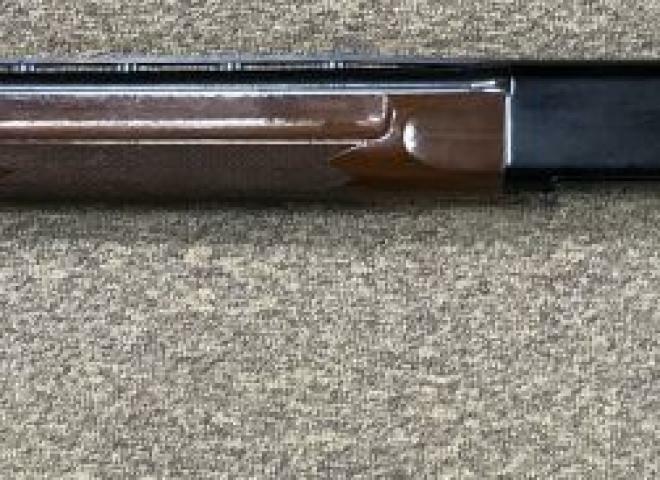 As new condition.The latest excellent Winchester semi auto. This model has a synthetic stock , non reflective black finish. Comes with 3 chokes, 1/2" spacer kit to give a total stock length of 14 3/4", sling swivel kit. The latest Semi Auto from Winchester. The gun is supplied with three chokes( 1/4, 1/2 and 3/4). Stock spacers, trigger lock. Choke key and Sling attachments.